At SimpliField, we believe that digital transformation comes from the field. 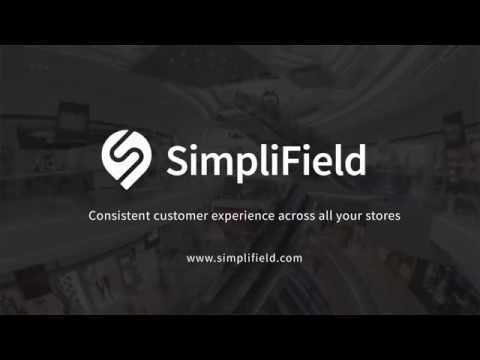 - SimpliField put field team at the heart of customer experience: Our smart mobile became store and field best companion, empowering field teams to deliver a seamless store experience. with real time recommandations, intuitive reporting and data analytics. - SimpliField analytics platform gives HQ teams unprecedented visibility into their network performance. On their SimpliField dashboard, HQ managers get visibility into in-store activity so they can make quicker, informed decisions and instantly communicate with field teams. Together, they make quicker, informed decisions, and continuously improve store performance. I believe that most companies spend an enormous amount of time gathering market data, competition intel, and field info...my company certainly does and all this info has to channel through the Sales or Marketing teams and it is often a very time consuming task for the person who has to put it all together to analyse it. Basically, Simplifield does that for you and that's the beauty of it. It aggregates all your market and on-site intel and provides you clear reports about your market. You can then slice and dice the data the way you want... all that in real time... welcome to Market research 2.0 !!! A very useful tool to gather and manage data without the hassle (and costs) of travelling. Whether you are a small or large business, the amount of time and money saved is substantial, especially if you are in a fast-evolving and fluctuating market. Clear and straightforward reports and dashboards, what's not to like?Real time dashboards. Relevant data. Time and money saver. Real time dashboards. Relevant data. Time and money saver. Because HQ all need access to in-store data for detailed analysis, SimpliField facilitates the sharing of information. Dashboards are customisable so each team can find the right info at the right time. Each teams are now aligned on common brands objectives. Perfect Execution Management Give your field & store team the opportunity to inform you of any specific request. Instantly informed through a consolidated and graphical dashboard, you can react fast & make quicker and informed decisions to continuously improve store experience. Below are some frequently asked questions for SimpliField. Q. What type of pricing plans does SimpliField offer? Q. Who are the typical users of SimpliField? Q. What languages does SimpliField support? Q. Does SimpliField support mobile devices? Q. Does SimpliField offer an API? Yes, SimpliField has an API available for use. Q. What other apps does SimpliField integrate with? Q. What level of support does SimpliField offer? Q. Which apps is SimpliField compared to most often?